WOW! Contemporary meets elegance with this fine home located in the Mission Hills in a prime location. With over 3729 square feet of living space and offering 4 bedrooms 3.5 baths + a den (potential 5th bedroom), this is a family home and an entertainer's dream with its park like rear yard! Step into its foyer and you will see its dramatic soaring ceilings leading you to a sun drenched formal living and dining room. Gourmet kitchen offers new quartz countertops , 5 burner Wolf range, SubZero fridge, new stainless appliances , pantry + more! 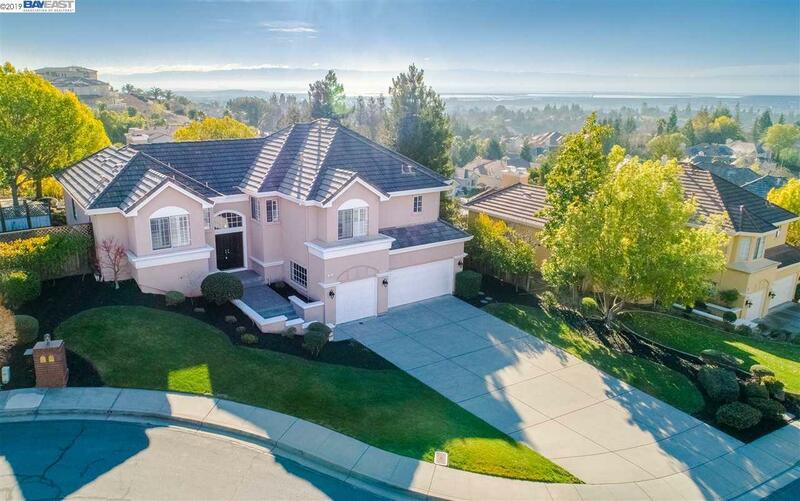 Large Master suite has a retreat w/ cozy fireplace + also has views of the rear yard + Mission Peak! Fresh updates throughout include new paint, carpeting, hardwood floors, quartz counters, LED lighting, new hardware, remodeled baths! Walk through the sliding door of the family room into the majestic rear yard with abundant mature trees for privacy, decking, and Bay Views! Award Winning Mission San Jose Schools! LOCATION LOCATION LOCATION!